Mt. 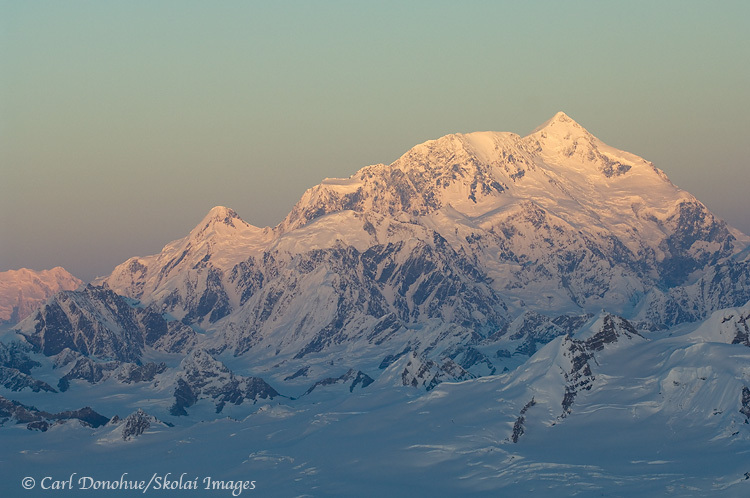 St. Elias and sunset. The setting sun begins to cast its fading alpenglow on the peaks of Mt. St. Elias in Alaska’s Wrangell St. Elias National Park and Preserve.